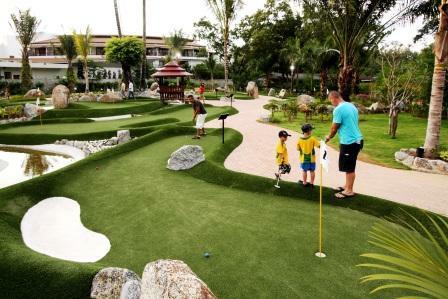 Phuket Adventure Golf is tons of fun for the whole family! So, if you or your kids are in need of a break from the beach and are looking for some fun things to do in Phuket. Make your way to Phuket’s newest mini golf course located at the southern end of Bangtao Beach. Mini Golf or Put Put as we call it back home is a fun and affordable day or night out that is suitable for the whole family. This well laid out 18 hole miniature golf course is both challenging and lots of fun, with a range of water hazards and bunkers dotted throughout the course. There is also a practice putting green so you can hit a few practice balls to get your eye in before you head out onto the course. 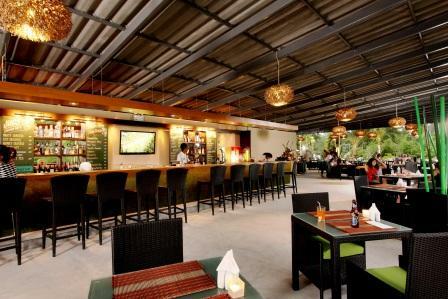 Located onsite is an open air restaurant called the "Off Course Restaurant and Bar. This is a fantastic spot where you can finish off a fun day after a round of mini golf. There is a fantastic selection of food to choose from that will suit all tastes. Most importantly there is also a well planned menu just for the kids. The bar is well stock with a selection of icy cold cocktails and a good selection of beers for the adults. As well as a selection of coffees and cold drinks for the kids. If you are celebrating a special occasion this mini golf course is the perfect venue. They are well set up and can cater for birthday parties or any special event and have package deals available for large groups. There is a range of mini golf packages available. The Day pass allows you to play as much mini golf as you like from 11.00am – 11.00pm and includes one complimentary soft drink, beer or wine. Full of Fun Package - 1200 Baht per Adult / 1000 Baht per child. This package provides everything you need for a fun day out! 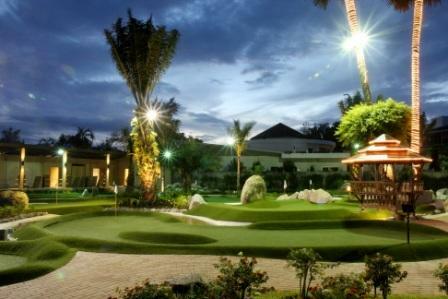 Included in this package is unlimited mini golf, a choice of either a burger and fries or a piping hot pizza or Thai Food and one soft drink o, beer or wine. Transport to and from Phuket Adventure Golf is included in this package within the areas of Layan and Patong. Phuket Mini Golf is open daily from 11.00am – 11.00pm with the last hit off at 9.30pm. 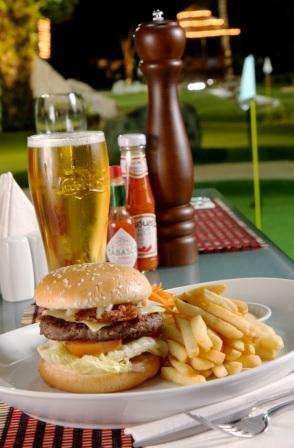 The Off Course Restaurant and Bar is open daily from 2.00pm – 11.00pm. 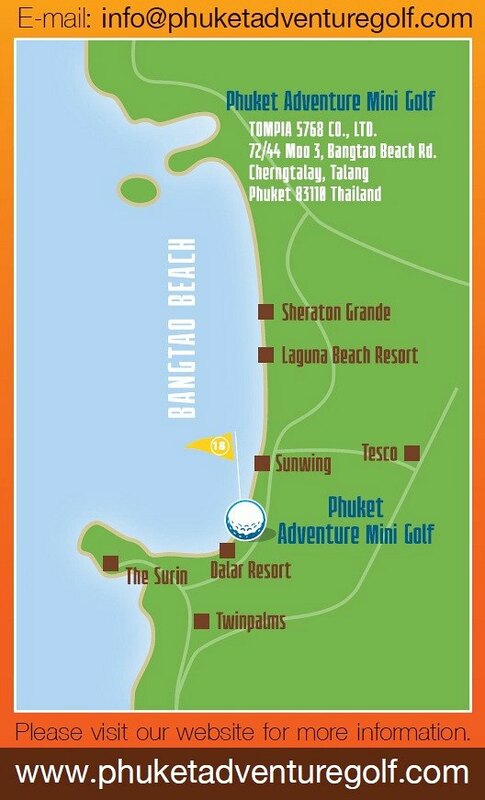 The mini golf course is located at the southern end of Bang Tao Beach on the North West coast of Phuket, situated between the Sunwing Resort and Dalar Resort.